Today I am going to share my thoughts on the Himalaya's Smoothing Foot Scrub. "At Himalaya, we have pioneered the use of modern science to rediscover and validate Ayurveda's secrets. We employ cutting edge research to create pharmaceutical-grade ayurvedic products. Natural, effective and safe, these products have helped thousands of people live healthier, richer lives. Our focus is on wellness; on helping people get healthy and stay healthy." Smoothing Foot Scrub exfoliate and moisturize for soft and smooth feet. 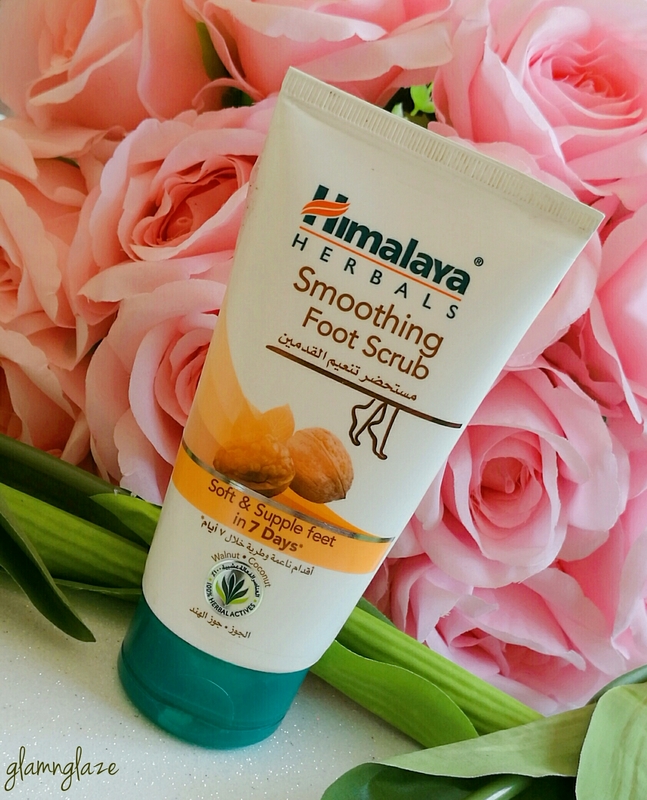 The Smoothing Foot Scrub contains Juglans Regia (walnut) shell granules and Ananas Sativus (pineapple) fruit extract that gently scrub off rough and dry skin. Indian Aloe and Cocos Nucifera (coconut) soothe and moisturize instantly revealing soft and smooth feet. Massage onto wet feet in a circular motion.Rinse off and dry. Use daily as part of bath/shower routine. 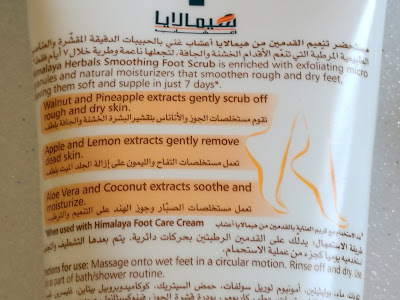 The foot-scrub is enriched with exfoliating micro-granules and natural moisturizers that softens rough & dry feet. The product has exfoliating micro-granules, i.e. 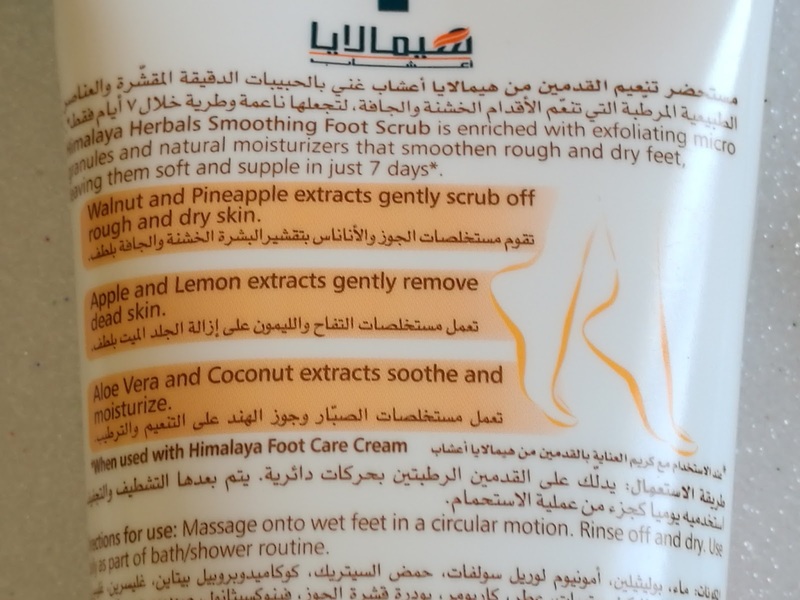 just the right size of the granules that are apt for foot-scrubbing.It helps in gentle exfoliation of the skin indeed. 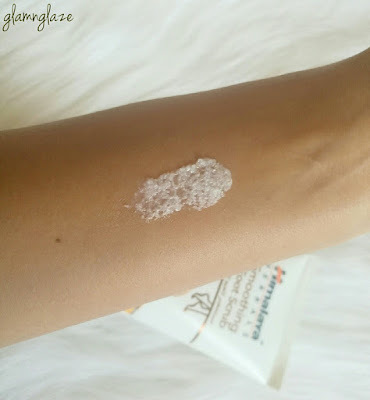 I am in love with the key-ingredients that form this scrub! Walnut and Pineapple extracts gently scrub off rough and dry skin. Applied the product on the moist skin and scrubbed gently in circular motions.It actually removed the the dead skin cells from the feet. 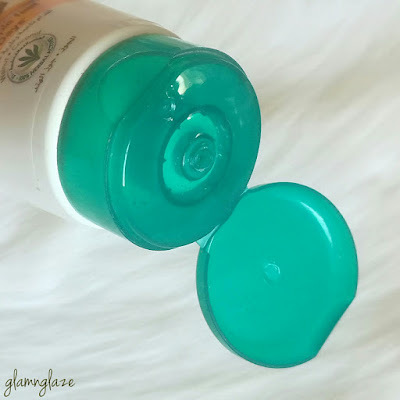 Makers claim that the product will show it's effect in seven days.Feet felt soft , smooth and clean in about two weeks of the regular-product-usage.I am cool with it.Any product takes it's own time to show results and so does this product. Overall,it's a great purchase.The tube contains a lot of product and I must say that this product is very budget-friendly too.A little amount of the product goes a long way.One tube lasts for about two months if used regularly.I highly recommend this product if you are looking out for an effective foot-scrub.Go for it! Yes.I am already on my second tube! In UAE, Life Pharmacy , Carrefour stores etc.The product is easily available at the super-markets across UAE. Pineapple: Pineapple juice is the storehouse of Vitamin C, bromelain and antioxidants. Bromelain softens the skin and is used against skin inflammation and swelling.